Are you ready, #Mumbai? An adrenaline-high weekend is heading your way with the #KTMOrangeDay. 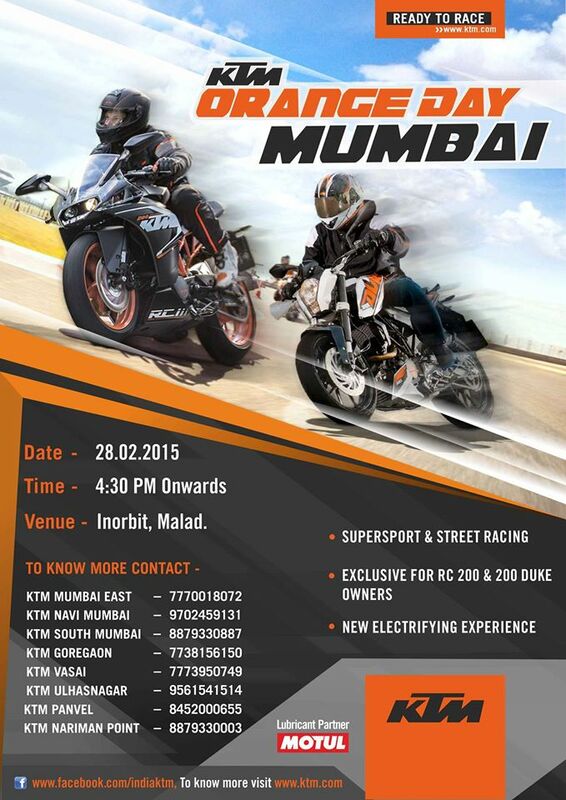 An exclusive event for owners of #RC200 and #Duke200– #KTM’s very special supersport and street bikes. Learn to ride your #KTM like a pro and push your limits on the track next to the country’s best riders. Catch the action in an all new electrifying experience. Go on, call your fellow #bikers and all motoring enthusiasts to be a part of the epic biking experience.